If a Neopet with two eyes is considered cute, doesn't it seem fitting that a Neopet with three eyes would be even cuter? How about an extra tongue? Flesh that's been scrubbed SO thoroughly clean that it literally fell off the bone? Yes, there is nothing more aesthetically pleasing than Mutant Neopets. What's this? You don't find these wonderful creatures appealing? WHAT?! You believe they're REPULSIVE? Oh dear, it's clear that you've been mislead by the conformist Neopians that are determined to be stuck in the past. You know; red, blue, green and yellow? I have news for you, dear friend, we are now in the present. Chili shaped Chias, spotted Lupes and yes, decayed Aishas! This is the present that we are in, so you need to embrace it! Where should you start? Well, it's true that you shouldn't just JUMP into something (especially when it's a pit full of mistreated, decaying Neopets), so let's start you off with some of the more... clean looking Mutant Neopets (or should I say, your future friend?). The Mutant Chia is perhaps one of the most casual (if you dare call the poor thing that) in appearance of all of the Mutant Neopets. Originally, the Chia species looks very similar to any of your Assorted Jelly Beans, and they come in practically all of the colors, too! The Mutant Chia displays some VERY rare features, such as a dark blue and seaweed green body color. The little tuft of hair you can find on basic Chias? Yes, that has been upgraded to five wonderful SPIKES! You can imagine how handy that would be the next time you forget your fishing pole on the way to Underwater Fishing. Just *picks up Mutant Chia* THROW it into the water, and wait for it to resurface! I guarantee you, there will be a butterfish on each spike! *splash* Oh... uhm, please, make sure your Mutant Chia knows how to swim. REASONS TO ADOPT: Multipurpose spikes, seaweed/mucus colored flesh, responds to the name 'Doodlebug'. REASONS TO NOT ADOPT: If you have a fear of sharp objects. Typically seen as a household Neopet, Aishas are known as gentle and serene creatures. For those of you seeking a more... ah... invigorating species, the Mutant Aisha is a must have! Their fur seems to have rotted off into a dull blue color, and that is good news for families allergic to normal Aisha fur! Another feature that you are bound to notice is the Mutant Aisha's body temperature. The chilly flesh of this darling Neopet is perfect when summer has threatened to sweat you out of your Neohome! Just put your little friend on the foot of your bed, and you will be able to fall fast asleep WITHOUT leaving a puddle of sweat on your blankets. As an extra bonus, there will never be any awkward silent moments at parties! Why? Mutant Aishas have three mouths! Yes, two of them are attached to tentacles, but that makes it all the more spectacular! With the Mutant Aisha by your side, your days are sure to be comfortable! REASONS TO ADOPT: Hypoallergenic, built-in air conditioning, three people to talk to in ONE! REASONS NOT TO ADOPT: Three times as many mouths to feed. Man's best friend? Clearly, the Gelert! (Of course, ladies, the Gelert is also bred with a whimsical design, perfect for your fancy!) Mutant Gelerts have sprouted multiple spikes (similar to the Mutant Chia's, mention above) all over its body. This is an excellent bonus for those of you who hate digging holes to plant seeds in your Neohome's garden. Just have your new pal roll around wherever you want your seedlings, and the spikes will poke a series of holes into your ground! It also seems that this creature has been given the ability of abnormal speed, which makes playing frisbee an absolute success! Try to challenge one of your Neofriend's pets, they'll never know what they've gotten themselves into! Oh, I'm required to mention that your Gelert must be put through training prior to high-excitement activities. There have been... erm... cases of the cuddly Gelert bringing home a Meowclops instead of a frisbee. That was a rather unfortunate event. So, stay safe, kiddos, and have your new pal properly trained! REASONS TO ADOPT: Natural gardener, game companion, cuddly. REASONS NOT TO ADOPT: Waterbed owners. The Gelert's spikes ARE sharp! Knowledge is power, correct? CORRECT! It should be obvious that a Mutant Kacheek is one of the more powerful Mutant species. With a brain that is so huge it couldn't be contained inside of its skull, your Neopet will be the envy of scholars everywhere! The Mutant Kacheek is always willing to help you study, but just remember that he doesn't advocate cheating during Neoschool. Those gorgeous black and red eyes? Yes, they can multitask as a night light! So for anyone, such as myself, who is afraid of the dark and the many creatures that reside in it, a Mutant Kacheek is a necessity. 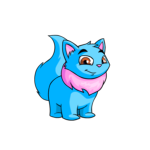 This Neopet's tail seems to have remained very similar to its basic red, blue, yellow and green counterparts. So, just as snuggly as ever! REASONS TO ADOPT: Brainy, night light, snuggly tail. REASONS NOT TO ADOPT: Can be a little pompous. To end this article, I would like to suggest that you stroll through your local Neopian Pound, and look at all of the poor Mutant Neopets that have been left by themselves. 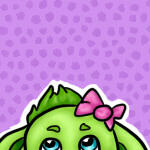 As you've hopefully been shown, Mutants are just as friendly (and vastly more capable) as your typical Neopet! The only thing different are a few additions (we all love extra spikes and eyes, right?!) and a few subtractions (skin is so irritating, anyways!) to their lovely frame. CAUTION: Mutant Neopets can become very aggressive during highly competitive games. I suggest, for your own sake, to let your new friend win. Really. O_O Not joking. Don't even THINK about winning. Your pet owns YOU during games. Especially tug-of-war... ESPECIALLY during that game.